The next stage will involve the heavy lifting of reading through the page proofs and creating the index. Things are moving along and we are still on schedule for a spring 2012 release. At the top is another fascinating image of the Crater that was shared with me and which can be found at the U.S. Army Military History Institute at Carlisle. 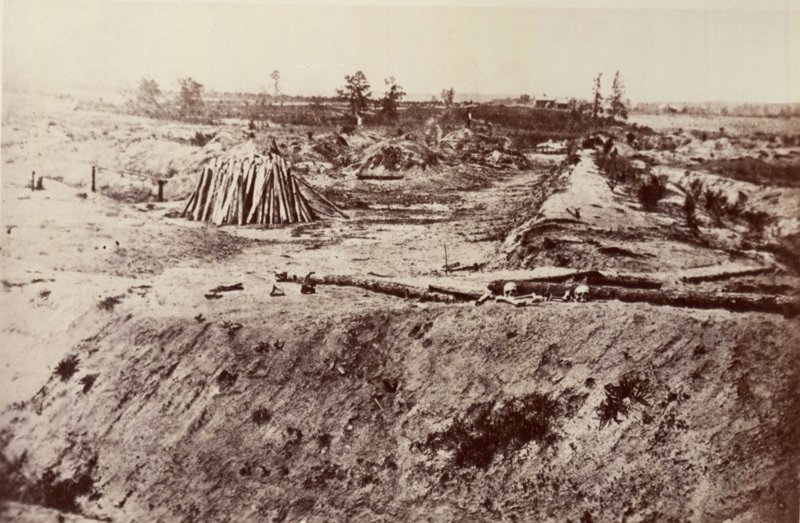 It’s a postwar photograph of what I believe are Confederate works adjacent to the Crater. Notice the two skulls and bones. I found accounts of the discovery of human remains as late as the 1930s. the camera that filmed the blast was a mile from the blast. 18 went off on schedule. 1 a few minutes late one when struck by lightning in 1955 and the last still sits underground, its exact location long lost. Thanks for sharing that, Ray. I watched it a couple of times. The dimensions of the crater are also in line with the Petersburg mine.